Fibromyalgia, also known as fibromyositis or fibrositis, is a chronic illness marked by widespread pain and tenderness in the muscle, joints, tendons, and soft tissues. Associated symptoms include fatigue, sleep, memory and mood issues. Claimants experience “fibro fog” which impairs the ability to focus, pay attention and concentration on mental tasks. The American College of Rheumatology defines fibromyalgia as a history of widespread pain lasting longer than three months, with pain in at least 11 of 18 tender points, and the pain cannot be attributed to another illness mimicking fibromyalgia. Social Security will accept a diagnosis of fibromyalgia if a rheumatologist takes a physical and neurological exam. In July 2012, Social Security published a ruling (SSR 12-2p) to explain how disability claims examiners and Judges should evaluate whether fibromyalgia constitutes a “medically determinable impairment” (MDI). Social Security found that fibromyalgia should be considered an MDI when the following two criteria have been identified. Fibromyalgia is not currently an impairment included in the Social Security Administration impairments listing manual (called Blue Book). However, if it can be proven that your symptoms are disruptive, and distracting enough to keep you from working a full-time job, you may be able to get benefits. If your fatigue and cognitive difficulties substantially reduce your productivity, the symptoms may be of such magnitude that there are no jobs you can do, or at least no tasks that you know how to do, given your age, education, and experience. 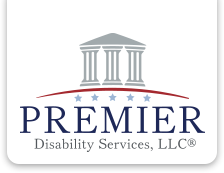 Premier Disability Services, LLC has extensive experience assisting claimants who suffer from Fibromyalgia obtain Social Security Disability benefits. If you suffer from Fibromyalgia and you are unable to work, please contact our office for a free evaluation.